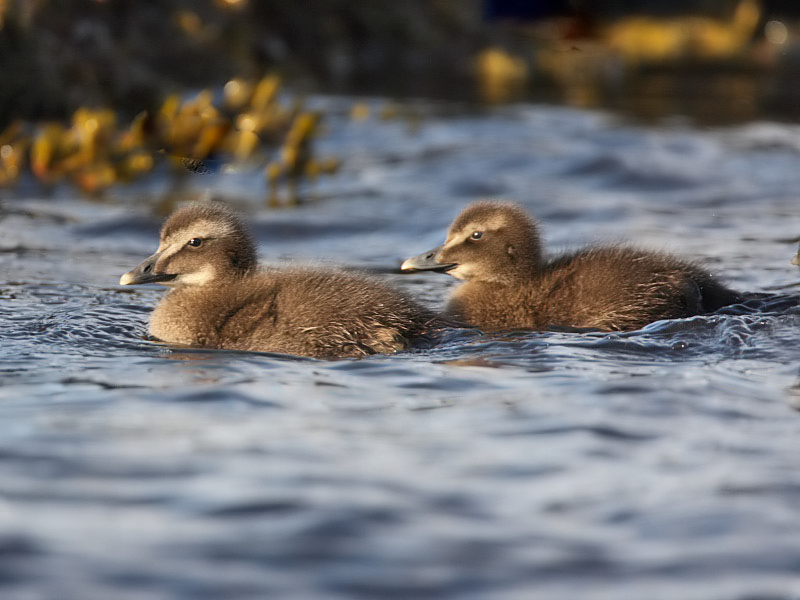 There were two broods of eider chicks in Roome Bay today. One has fairly young chicks of a few days old and the other much larger chicks well into their second week. Most of the females in the bay don’t have any chicks though. There are at least 10 females without chicks. I hope more appear from the May Island because otherwise this means they are having a very bad breeding year.